Moscow Region in St. Petersburg is one of the 19 administrative districts of the city. It is located in the southwest of the northern capital. On its territory international airport "Pulkovo" is located, as well as two major highways of northwest Russia - Moscow and Kiev highway. Therefore, it is called the southern gate of the city. The area of ​​the Moscow region is 7,107 hectares; the population is 275.9 thousand inhabitants. Moscow Region in St. Petersburg appeared in 1919, and in modern borders - in 1965. In its northern part is the Moscow Zastava (historical part), in the southern part there is the airport of Pulkovo. Until the revolution, only the Moscow Zastava district was in the city. Moscow Avenue is the main and the oldest street in the district, as it passes along the road leading to Moscow and appeared with the foundation of the city. The road was named in several ways: Tsarskoselskaya, Moscow, Moscow Trail, Zabalkansky, International, and Stalin’s Avenue. In October 1945, on the Moscow Avenue, a park was built in honor of Victory in the Great Patriotic War. The main entrance to the park is decorated with propylayas, behind which the largest fountain in the city and the main alley of the park - the Alley of Heroes are located, on both sides of the Alley of Heroes busts to twice the Heroes of the Soviet Union - to the natives of Leningrad and to twice the Heroes of Socialist Labor are installed. During the war, the bodies of dead soldiers and townsmen were burned in the territory of the park, at the brick factory, which served as a crematorium. Beside the park is one of the largest in the country building of the Sports and Concert Complex for twenty thousand spectators. On the other side are the Hotel Russia and the Chernyshevsky Square, which houses a monument to the Russian writer N.G. Chernyshevsky. From the beginning of the XIX century on the both sides of the road trading enterprises, workshops, residential houses, villas had appeared. Later here was built the Rekhkin plant (now Yegorov's "Wagon Mash"), the "Society of St. Petersburg mechanical shoe manufacturing" ("Skorokhod") and the "Siemens-Galsk" plant (later the "Elektrosila" plant) that appeared in the early 20th century. 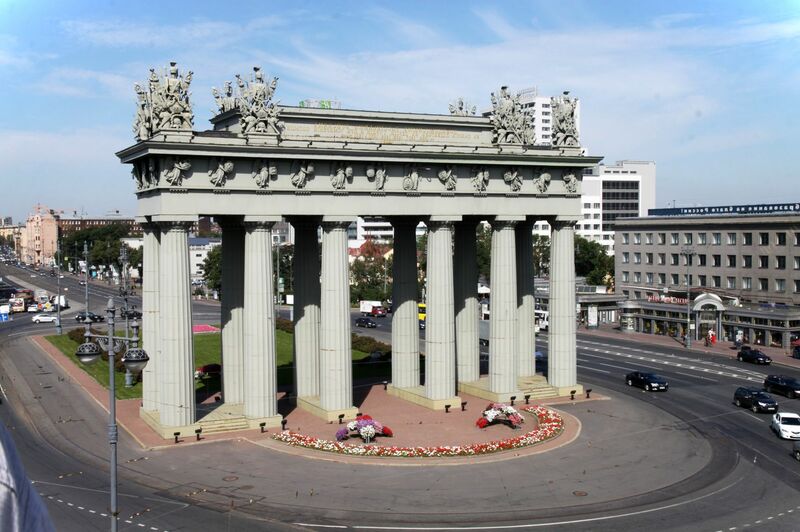 The majestic structure on the main street of the district - the Moscow Triumphal Gate - a monument to the victories of Russian weapons in the wars with Persia and Turkey in 1826-1829. The monument was opened on October 16, 1838 (architect V.P. Stasov). In the 1930s, the gates were dismantled andrestored in 1959-1961. Triumphal Gate is the largest prefabricated structure made of cast iron. Before the gate was the area, bounded by a semicircular metal fence. On both sides of the colonnade there were guard booths. Here was the first mortgage (slug) on ​​the way to Moscow. The guards at the passers-by checked the traveler and the fees were charged. To the right of the Triumphal Gate the building of the fire department was located (architect D.P. Bireshkin, 1925), designed not for horse harnesses (as it was before the revolution), but for fire trucks. On the street Lensovet, we can see a beautiful architectural ensemble with the oldest attraction - the Chesme church, which is a monument of architecture of the federal significance. 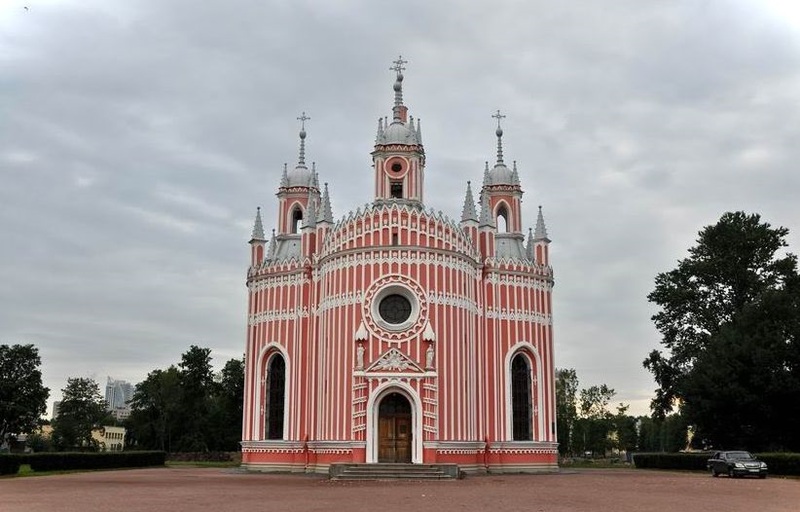 Chesme Palace and Chesme Church (St. John the Forerunner church) were built for Prince Grigory Potemkin's favorite of Catherine II in honor of his participation in a naval campaign against the Turks and the Chesme Battle (in the Chesma Bay in the Mediterranean Sea). The palace was created on the model of Gothic buildings. In the first half of the 19th century Novodevichy Resurrection Monastery was built on Tsarskoselskaya Road. In the 1930s a Ray Council building was built. The originality of the architectural solution is in the fact that a round tower adjoins the horizontal, extended building of the building. The shape of the building is asymmetric and somewhat resembles objects of ancient Roman architecture, in particular the Colosseum. The Moscow region is also involved in the birth of aviation. In 1911, from the airfield (now the Park of Aviators), the famous "Ilya Muromets" took off. The largest Russian airplane "Russian Knight" was assembled and tested here. 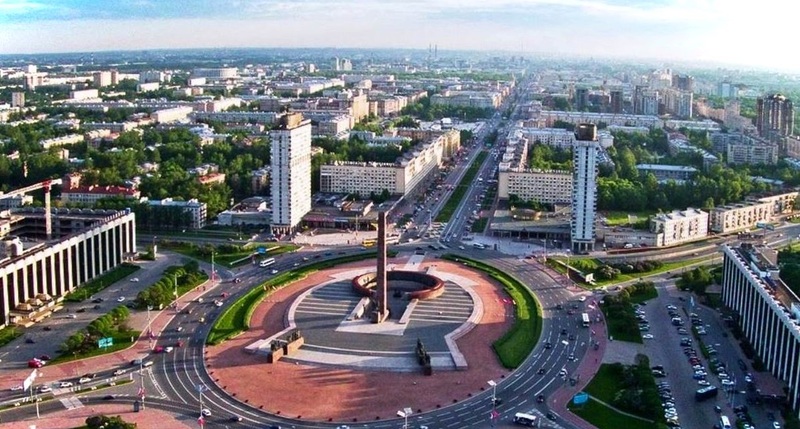 Victory Square is the southern gates of the city, next to which was the second (middle thigh) of the city. Here was a pillar depicting three roads to Petersburg, Tsarskoe Selo and Moscow, to Peterhof and Warsaw. In 1714 a one-storey wooden walkway palace was built on the middle slab, later reconstructed into a stone (architect Rastrelli), which contained a post office.During the reconstruction of the Victory Square, the Palace was demolished. 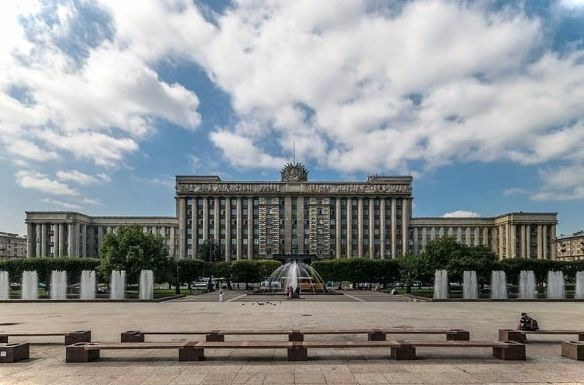 On May 9, 1975, on the day of the thirtieth anniversary of the victory of the Soviet people over fascist Germany, a monument to the heroic defenders of Leningrad was opened on Victory Square. In the seven and a half kilometers from the square there are Pulkovo heights.Hence, in January 1944, a major blow to the German invaders near Leningrad was inflicted. Further the Pulkovo heights the enemy did not pass. In memory of these events a monument "Pulkovo border" was built. Not far away is Pulkovo Observatory.